As I’ve not posted anything so far in December I just thought I’d take the opportunity to wish everyone a Happy New Year! I have been very busy in 2010 with the history book assignments that I’ve been working on, and I have now completed all the photography for seven local history books – six in the Through Time series from Amberley Publishing and one (York Then & Now) from History Press. 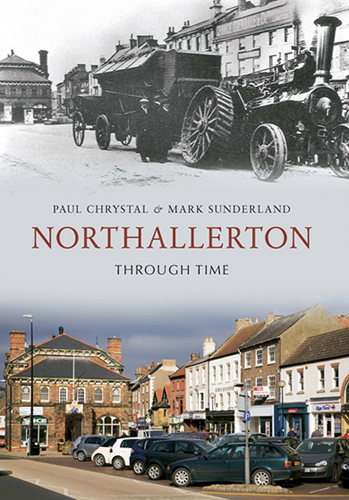 Six of the books are already available, with Northallerton Through Time the latest addition from Amberley. A further title from Amberley (Richmond and Swaledale Through Time) has gone to press and is due to be published on 1st February 2011. I have also been doing a lot of work on two further books on the history of the chocolate industry in York and in Britain, though this has just been repro work and a few still life shots – including a visit to a fascinating private collection of Rowntrees memorabilia in York. The books will be published in 2011 by Pen and Sword and Shire respectively. The books have all been very interesting but also very time consuming, so I’m looking forward to spending a bit more time on some other projects in the New Year!